We are very pleased to announce that Precision, LLC will be renewing our website design in accordance with the overall corporate brand refresh that we have unrolled over the last quarter. The redesigned website will add additional functionalities for our customers to facilitate their access to data sheets, help our users have a better online experience, and in general, provide our website visitors with the information they need to ensure a successful fracking operation to maximize their own profitability. Precision has always strived to provide the best quality service to our customers, and we are confident our improved website will provide the same attention and resources as when we personally field customer inquiries. We urge everyone to stay tuned until we announce the full launch and until then, to follow us on social media for the latest company updates. Our clients in the oil and gas industry often need to make important decisions under very tight deadlines. These pressures can be worsened by vendors such as pipe distributors or pipe coupling providers not having their specs outlined and listed in an accessible, informative medium. At Precision, we have set out to be the difference and will fully list all of our products with their complete descriptions, specifications, and project conditions for consideration in future oil exploration projects. Precision has partnered with Powered Labs, a software development and design agency, to handle all aspects of our growing company’s digital presence. Throughout the month of May, Precision unveiled a series of social media channels to better connect with our client’s needs and our peers’ thought leadership in the industry. We also launched our new corporate look that included a modernized logo, a new brand identity system, and our product brochures. 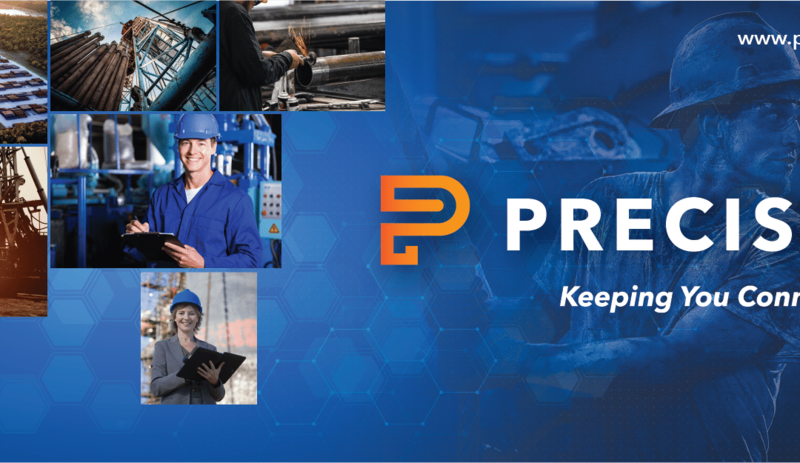 Precision would also like to highlight that we have new coupling and connection products in the pipeline soon to be launched into the marketplace, products that will serve new purposes for drilling operators who need reliable products in the field. For the latest company and industry updates, follow Precision on Facebook, LinkedIn, Twitter, Google+ and YouTube.